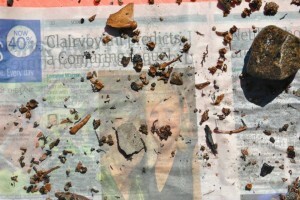 Flotation uses water to process soil samples and recover tiny artifacts that would not ordinarily be recovered when screening soil during an archaeological investigation. The reason these artifacts aren’t normally recovered is that they are so tiny that they fall through the ¼” screen typically used by archaeologists to sift the soil. 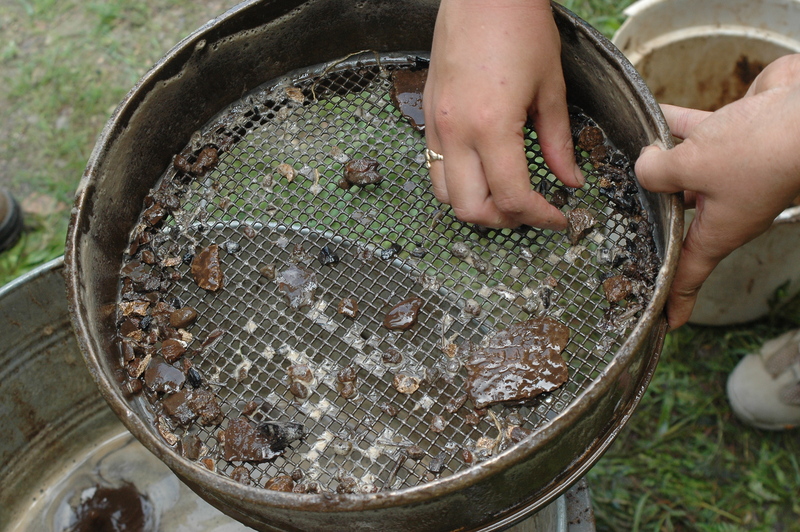 To recover tiny artifacts, a soil sample is placed on a screen and with the addition of water; artifacts are separate from the dirt particles. Light materials (called light fraction) float on top of the water while heaver materials such as bone, pottery, and stone rest on the screen. Light materials include plant remains, seeds, and insects which can reveal information about diet, environment, and climate. Heavy and light materials are collected separately and placed on a tray to dry. Once the sample has thoroughly dried, the material is placed in archival bags for storage and further research. 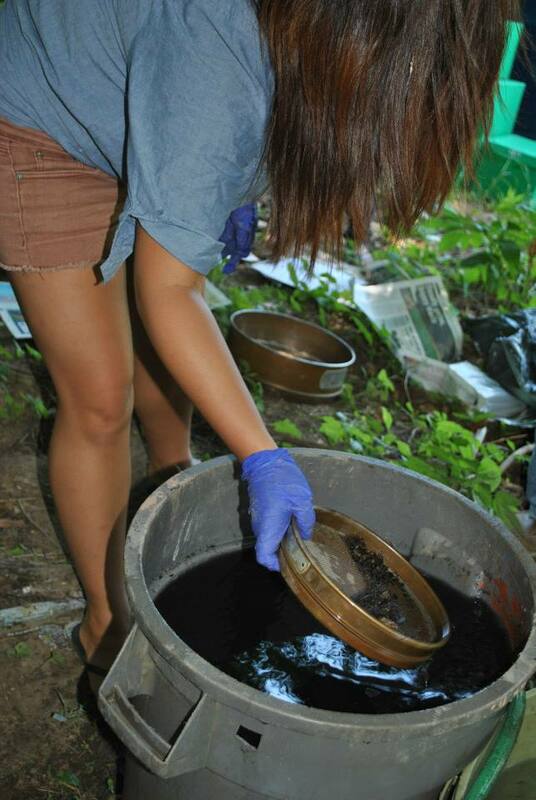 We’re using the bucket flotation method to process soil samples. It is a hand method sometimes referred to as wet sieving. Large-scale excavations may use a flotation machine as more soil samples can be processed in a shorter time period. Many of the boxes in MOA’s collection contain soil samples which have never been processed. (We have boxes filled with bags of dirt!) 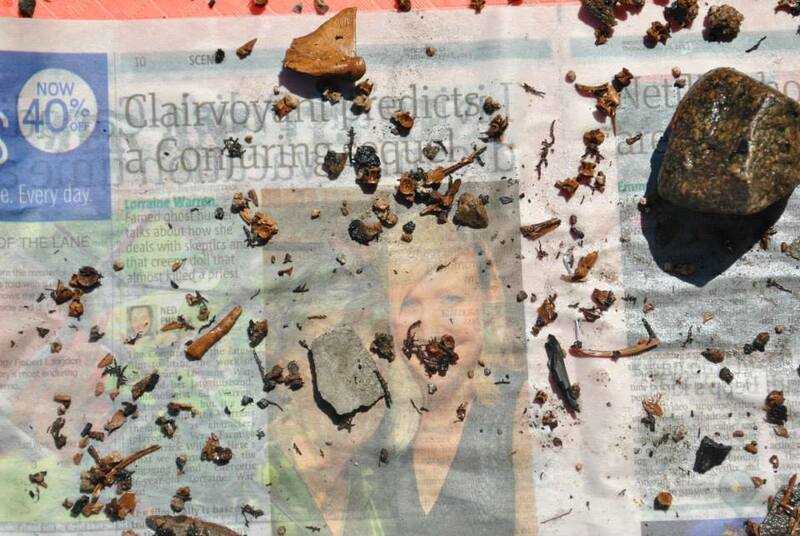 Through flotation, we are uncovering these artifacts so that they can be added to our collection. (And lighten the load in our storage room!). 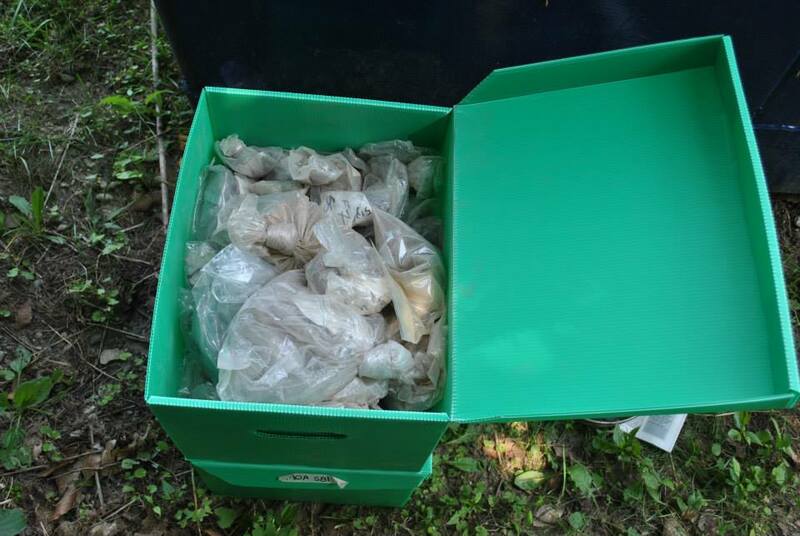 We started floating our soil samples during the summer of 2013, and will continue until all the samples in our collection have been processed. You can see demonstrations of our flotation process during special events like the Winter Village Family Fun Day being held on February 17, 2014 and Wilfrid Jury Archaeology Day in July. You can also check out these videos that demonstrate the Bucket and Machine flotation techniques.